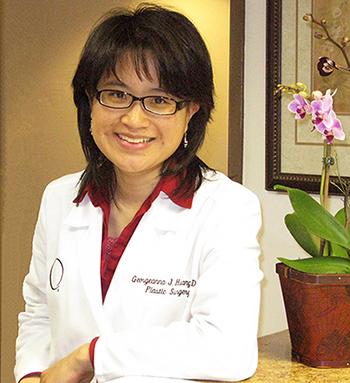 Dr. Georgeanna Huang specializes in plastic and reconstructive surgery following treatment for cancer. Dr. Huang is certified by the American Board of Plastic Surgery. She is an active member of the American Society of Plastic Surgeons and the American Society of Aesthetic Plastic Surgeons, with subspecialty training in aesthetic and reconstructive surgery of the breast. A native Midwesterner, Dr. Huang first came to Southern California upon acceptance into the integrated General Surgery-Plastic Surgery residency program at Loma Linda University Medical Center. She completed her undergraduate and medical studies through a combined B.S./M.D. program at Northeastern Ohio Medical University (formerly known as Northeastern Ohio Universities College of Medicine). She is a member of the Alpha Omega Alpha medical honor society. After starting practice and taking some time off to start a family, Dr. Huang returned to the Midwest for more training and completed a fellowship in aesthetic and reconstructive surgery of the breast under the tutelage of world renowned Dr. Dennis Hammond. 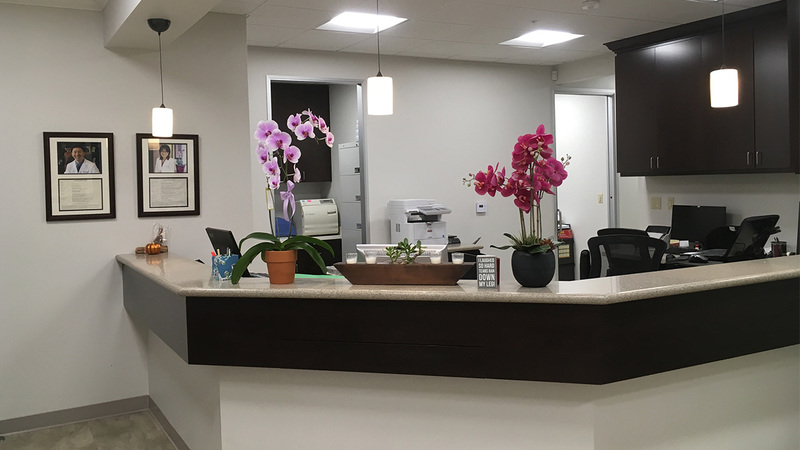 Dr. Huang currently makes Thousand Oaks her home with her husband, also a physician, and their two young children. Profoundly impressed by her six years spent at Loma Linda University, where the motto is “To Make Man Whole,” Dr. Huang truly believes in helping patients to be “restored” again. Sometimes this occurs after cancer surgery that requires reconstruction, a traumatic accident that disrupts your normal features, or even with normal aging and trying to get back to that “old self” you used to see in the mirror and still feel like on the inside. Dr. Huang’s goal is to encourage you and your body to look and feel your best so that you may live your life to the fullest. Please use the Patient Portal. © 2019 huangplasticsurgery.com. All Rights Reserved. BOTOX® Cosmetic is a registered trademark of Allergan, Inc. and JUVÉDERM® is a registered trademark of Allergan Industrie, SAS.